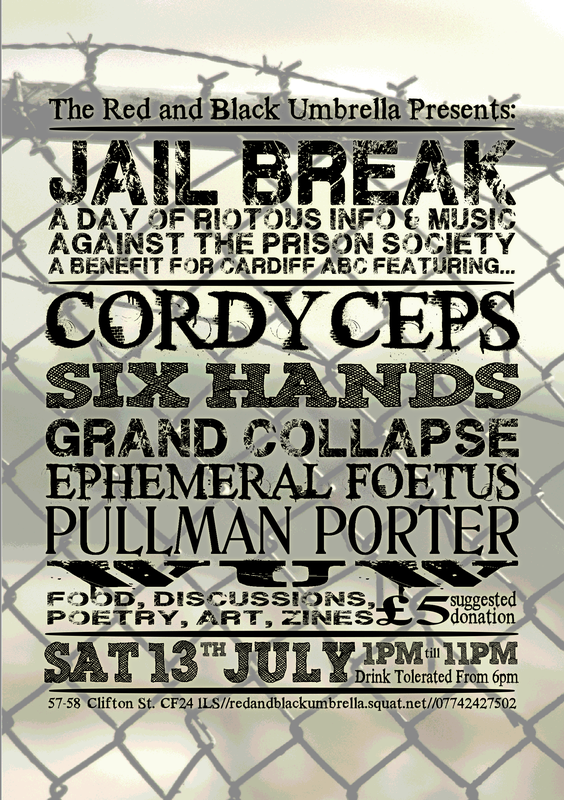 On saturday the 13th of july, Cardiff ABC has organised a one day anti-prison event at the Red and Black Umbrella Social Centre. The event aims at creating a wider awareness and critique of the ever expanding prison society and people’s struggles against it. The event will run from 1-11pm and is split into two distinct parts. From 1-6pm there will be space for meetings, discussions, talks, workshops and skillshares, for the most part the discussions will be relatively informal and structureless so as to not stifle creativity and originality. We are asking attendees to not bring alcohol to this portion of the event to discourage all day drinking and encourage clear, sober and respectful interaction. There will be hot vegan food available from the beginning of the event, as well as a variety of relevant zines; all for donation. 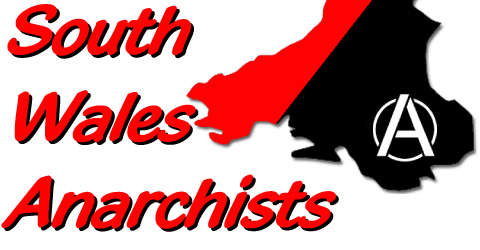 Postal: Cardiff ABC, c/o Red & Black Umbrella, 57-58 Clifton St, Adamsdown, Cardiff, Wales, CF24 1LS.